A Venetian morning is ablaze with marvels. From sunlight sparkling on the water to the startling hues of incomparable architecture, Venice enchants the eye from first light to the last gloaming. We have captured the splendid daybreak palette of the ancient city with these four striking covers. Our covers are inspired by a Renaissance binding for a book called The Treatise on Colours. 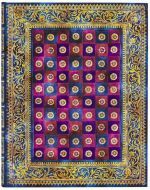 The original design dates back to the early 1600s and was crafted from red morocco leather with fine gold borders and checkers of green, red, blue and brown in the midfield, as well as lace fillets and marbled endpapers. 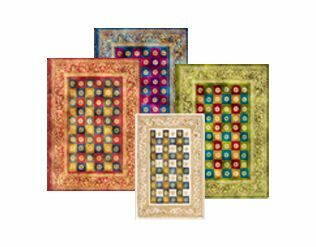 Our covers embrace the Renaissance value of cultural rebirth by representing an ancient bookbinding with contemporary bookmaking techniques.